This ideally located car park sits just 1.5 miles from Luton Airport, providing a fast and convenient way to get to the terminal building. Transfers operate 24 hours on-demand at this car park. The transfers take approximately five minutes. Parked in the company’s fully protected facility, your car will be watched over benefit from 24-hour manned security, regular patrols and full CCTV coverage. The car park has also been awarded the police-approved Park Mark Safer Parking Award by the police. Airparks Shortrun has a wheelchair-accessible reception and provides assistance boarding and disembarking their buses. This car park operates throughout the year, around the clock. Exit the M1 at Junction 10. Follow signs to the A1081, Luton and the Airport. Keep in the middle lane and keep going straight. At the traffic lights, turn left towards Town Centre and Dunstable. Keep left then turn left at the roundabout. At the next mini roundabout, turn right, which is the second exit, signed IBC and Chamber of Commerce. 150 yards down the road take the service road on the right, into the retail park. The car park is on the left, through the gates. Park in the arrival bays. Head to reception with your booking confirmation. Take the transfer bus to the airport – your car will be safely parked on your behalf. We recommend you allow sufficient time to complete your check-in and transfer to the airport. Collect your baggage and clear customs. 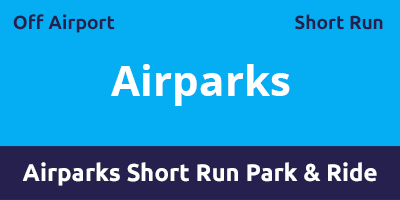 Call Airparks Shortrun once you are in the arrivals area to request a transfer. Hop on the transfer bus back to the car park. Pick up your keys from reception and then collect your car.